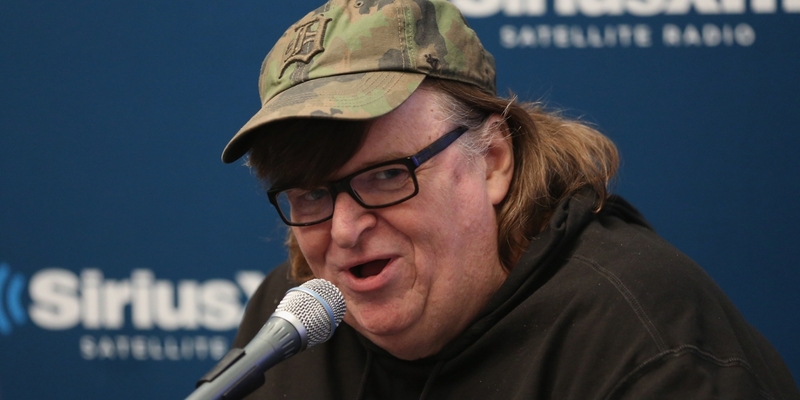 In Huffington Post, filmmaker Michael Moore announces the debut of TrumpiLeaks. IndieWire's Eric Cohn argues that in the wake of Trump's pullout of the Paris Climate Change Agreement, former Vice President Al Gore could emerge, through the forthcoming An Inconvenient Sequel, as a cinematic superhero to complement Wonder Woman. If Trump is steering the planet into a natural disaster movie worthy of Roland Emmerich, Gore has been cast as the nerdy protagonist with the tools to save the world, if only someone will listen to him. An Inconvenient Sequel will allow him to have an audience, no matter what Trump does. IndieWire rounds up feedback from student participants in Werner Herzog's 10-day workshop in Cuba this past March. On the first day of the workshop, Herzog came into the Masterclass and told us he had nothing to teach us. That you must go out and figure things out for yourself; that in filmmaking and in life you are totally and completely alone. From Filmmaker, Paula Bernstein reports on what she learned at Oregon Doc Camp last month. What happens when 50 documentary filmmakers converge in the woods of Oregon for a long weekend? It sounds like the premise of an episode of Portlandia or a new reality TV show. But Oregon Doc Camp, featuring four days of film talks, screenings, workshops, and campfires at a Silver Fall State Park in Oregon, is something entirely different. It's a relaxed, non-competitive environment where nonfiction filmmakers can swap war stories, share hard-earned expertise and provide support and feedback. In MovieMaker, Tomas Miklica talks to filmmaker Bill Morrison about using found footage and archival footage in his work. The use of old film has many different interpretations. It's not just one thing; for each project I am using it in a different way. Films could be buried in the ground for 50 years and we could take them back up and they would still have the same intentions that the filmmakers had when they made them. They'd have changed just by nature of the time that passed. Whatever's happened to them physically is an embodiment of that. People bring their experiences and their prejudices going in. If somebody wants to read my films as strictly experimental, they'll be appalled by the fact that I use music. If somebody wants to see my films as strictly documentary or as essays, it won't work either, as they are a type of poetry. From the Archives, Spring 2013: "No Longer Just Wallpaper: Archival Footage Can Inform and Shape Your Film's Story"
For IDA Career Achievement Award honoree Ken Burns, collecting archival stills and footage goes hand in hand with writing the script. "We are working on two parallel tracks," he says. "But the story comes from the story. We use the footage to tell the most compelling story." He does not worry about the images while writing. Yet, Burns has successfully linked archival images of all sorts with stories in many of the most popular documentary films of all time, such as The Civil War, Baseball, The War and The Dust Bowl. World of Wonder to Adapt Orner's "Out of Iraq"